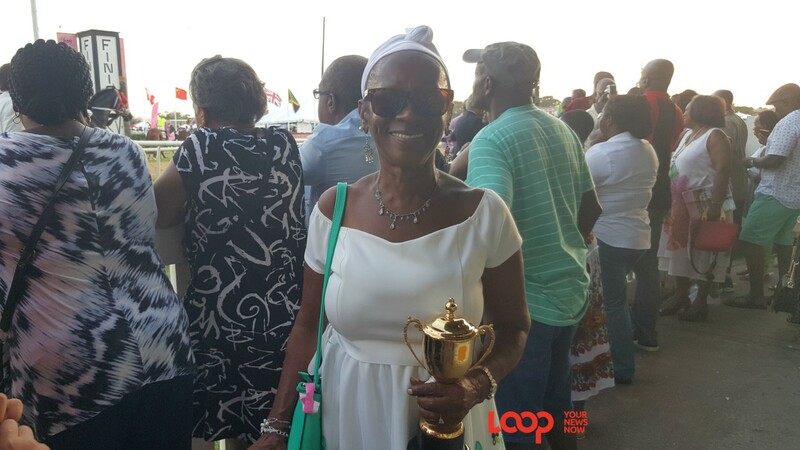 Maria Samuel, Jalon Samuel's grandmother with the smaller Gold Cup after his win. "Of course I bet on him!" 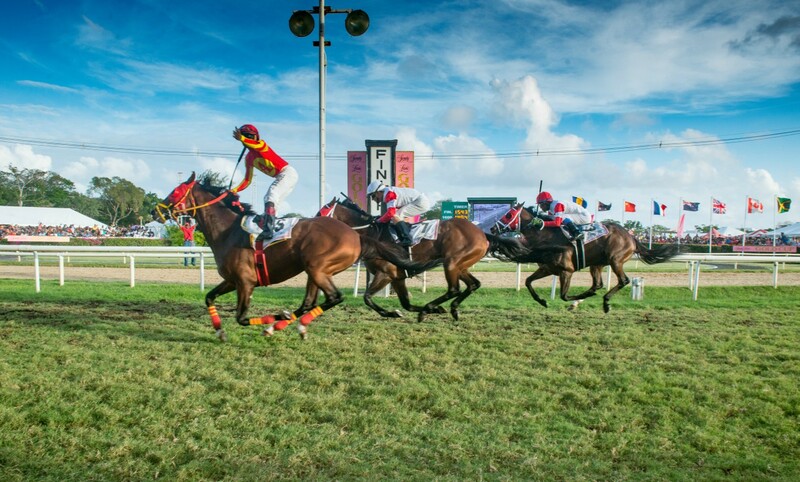 Grandma Maria Samuel was over the moon with joy when her grandson - Jalon Samuel, yet again took the Sandy Lane Gold Cup yesterday, March 3, 2018, at the Historic Garrison Savannah. "I'm proud of Jalon. To tell the honest truth, I'm so happy for him. I know he would have win the race, and I know he would win the three big races and he win one extra, to make four races. I'm so happy for Jalon." 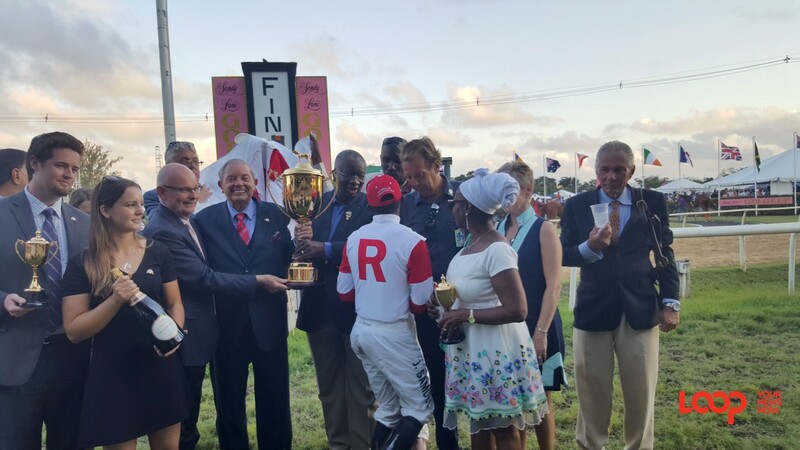 She chatted with Loop News after the presentation of the Gold Cup to the owners of Sir Dudley Digges, which Jalon rode in the Gold Cup race. Carrying a smaller version of the Gold Cup, she was happy watching Jalon jog to suit up and ride again. Three consecutive wins in the bag, Loop asked the loving grandmother what the top jockey is like before his big race day annually. 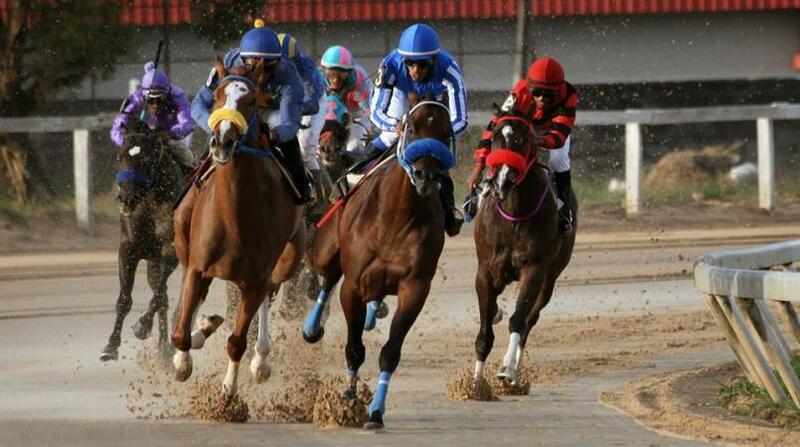 "Jalon is mostly be by himself, whenever it is time for Gold Cup he like to be by himself. He like to sit down and watch back races. He don't like to mix when it is Gold Cup, not even, the mother, nobody he does don't want to see. He goes into his room and make sure that he just watch races and be by himself." 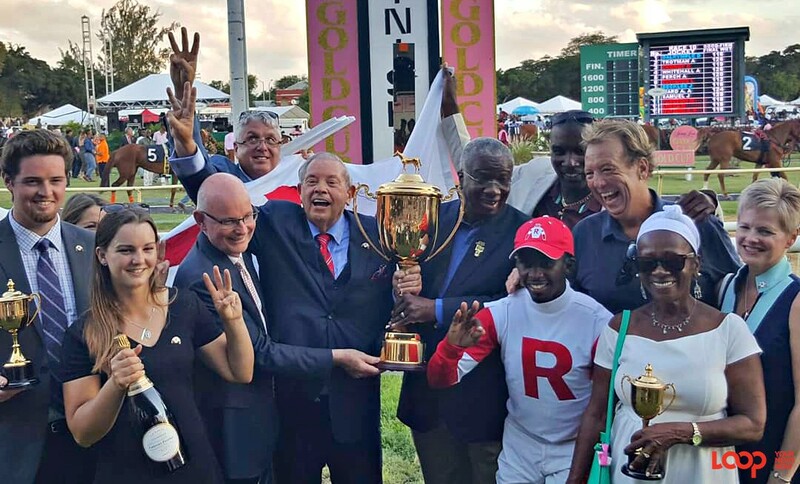 With a big smile and a laugh, granny Samuel said that she would not have missed the 37th Gold Cup race for anything and she indeed put her money where her mouth is.